However, as I’ve increasingly seen QR codes on advertising, billboards, and websites I’m forced to reconsider my opinion. 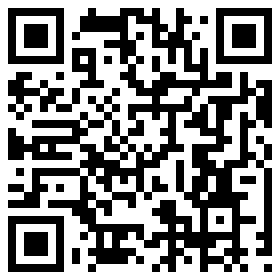 Want to read more about QR codes? There’s no need for me to hash out the details – Mashable’s recent post and the post in Social Media Examiner are good ones. It’s incredibly easy now to create your own QR code. I’ve been experimenting with this one: http://qrcode.kaywa.com/. I’m sure there are others. Here’s the thing to remember. QR codes are mobile-centered, meaning that you need to have a good mobile strategy to maximize use of a QR code. Scan the QR on the right with your phone to get to this blog. You’ll see it’s designed for mobile so it’s easy to navigate with a phone. The trouble with this code? The purpose. What am I asking people to do? Am I just passing along information – like a coded business card? Given that it’s easy and free to generate a QR code, maybe that’s enough. Personally, I prefer this type of object to offer some kind of payoff for users, like Starbucks’ use of the code to enable mobile payment. Besides webpages, you can link codes to apps, Facebook pages, phone numbers, and text. It’s free so ultimately there’s no harm in playing around with QR codes. And, hey, maybe it’s worth the geek-cred to slap one of these things onto your site or ad even if the payoff you offer isn’t great right now. As you experiment with QRs, let me know what you think. Is this going to play a role in the future of mobile advertising or is it a technological trinket?